Chemonics International latest job openings. See the requirements and procedure to apply for the Chemonics International jobs online. Chemonics seeks a director, finance and operations for an anticipated multiyear, USAID-funded health project in Nigeria. The Strategic HIV and AIDS Response Program Nigeria will focus on improving the quality and effectiveness of high-impact, evidence-based HIV/AIDS interventions to meet state and local government areas’ specific goals and objectives. This project will cover governance, access, and demand activities for HIV/AIDS and tuberculosis (TB) services. The specific objectives of the program include targeted and efficient HIV case identification through optimized index partner and self-testing, linkage to care and treatment; patient enrollment in HIV/AIDS therapy with adequate adherence and retention; successful suppression of HIV viral loads; specialized services that attract key and vulnerable populations to achieve epidemic control; and increased capacity of the Nigerian government to expand, oversee and finance HIV/AIDS and TB services. We are looking for individuals who have a passion for making a difference in the lives of people around the world. Chemonics seeks a director, monitoring, evaluation, and learning for an anticipated multi-year, USAID-funded health project in Nigeria. The Strategic HIV and AIDS Response Program Nigeria will focus on improving the quality and effectiveness of high-impact, evidence-based HIV/AIDS interventions to meet state and local government areas’ specific goals and objectives. This project will cover governance, access, and demand activities for HIV/AIDS and tuberculosis (TB) services. Chemonics seeks a chief of party for an anticipated multi-year, USAID-funded health project in Nigeria. The Strategic HIV and AIDS Response Program Nigeria will focus on improving the quality and effectiveness of high-impact, evidence-based HIV/AIDS interventions to meet state and local government areas’ specific goals and objectives. This project will cover governance, access, and demand activities for HIV/AIDS and tuberculosis (TB) services. The specific objectives of the program include targeted and efficient HIV case identification through optimized index partner and self-testing, linkage to care and treatment; patient enrollment in HIV/AIDS therapy with adequate adherence and retention; successful suppression of HIV viral loads; specialized services that attract key and vulnerable populations to achieve epidemic control; and increased capacity of the Nigerian government to expand, oversee, and finance HIV/AIDS and TB services. We are looking for individuals who have a passion for making a difference in the lives of people around the world. Chemonics seeks a deputy chief of party/technical director for an anticipated multiyear, USAID-funded health project in Nigeria. The Strategic HIV and AIDS Response Program Nigeria will focus on improving the quality and effectiveness of high-impact, evidence-based HIV/AIDS interventions to meet state and local government areas’ specific goals and objectives. This project will cover governance, access, and demand activities for HIV/AIDS and tuberculosis (TB) services. How to Apply for Chemonics International Jobs. How to Apply for the Post of Director of Finance and Operations at Chemonics International. Apply Before: 28th May, 2019. How to Apply for the Post of Director of Monitoring, Evaluation, and Learning at Chemonics International. How to Apply for the Post of Chief of Party at Chemonics International. How to Apply for the Post of Deputy Chief of Party/Technical Director at Chemonics International. 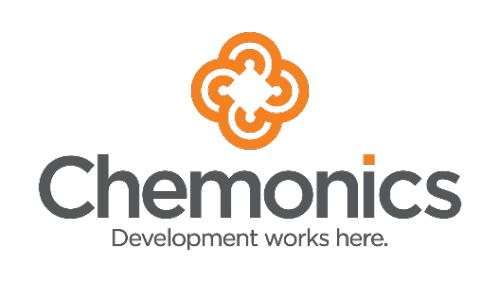 Chemonics International – We’re one of the world’s leading partners in international development, because where Chemonics works, development works. From our founding in 1975, we have worked in more than 150 countries to help our clients, partners and beneficiaries take on the world’s toughest challenges. Today, we re-imagine global supply chains to deliver essential medicines to the right place at the right time. Our global network of more than 4,000 specialists share an unwavering resolve to work better, driven by a conviction that the world must be better.